When it comes time for a new fence, determining which material is right for your needs is crucial. The costs will vary depending on which type of fencing you select. For most homeowners, however, the choice comes down to aesthetics. Knowing which style and material best fits with your current home and landscape could make the decision easier. However, it’s also important to consider lifespan, maintenance, repair, and costs. Iron is known for its immense durability. The material, despite its strength, is also quite beautiful. Furthermore, iron requires very little maintenance and pairs well with most creative landscape designs already in place. Due to its strength and appearance, expect your fencing to last for years. Unlike wood, iron does not rot, warp, or attract bugs. On the other hand, iron is also heavy and quite difficult to manage. 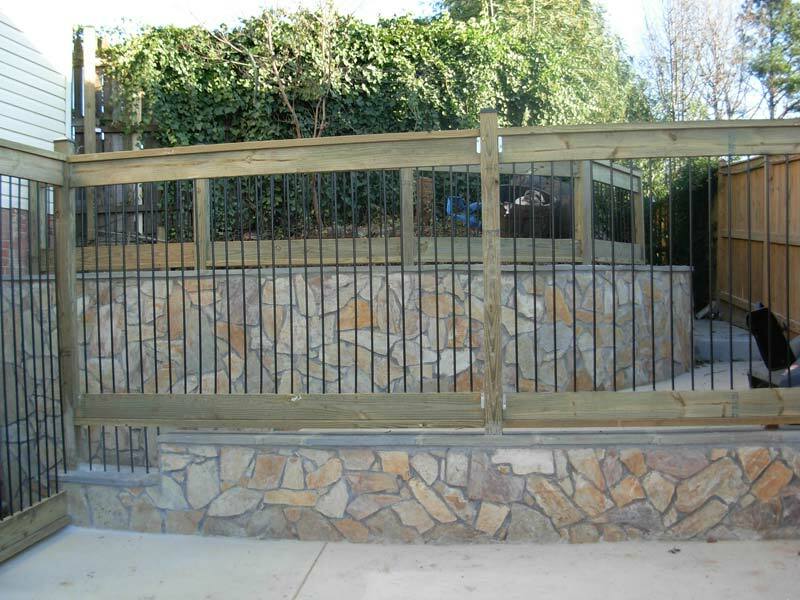 Hiring a professional with prior experience in iron fencing is important. Depending on the environment, iron may develop rust over time. Rust typically blossoms in areas where the paint coating has begun to chip or fade. Inspections are recommended on occasion. Wood is a favorite amongst homeowners. More people choose wood for its elegance and easy installation than any other material. Plus, wood fencing is more versatile than any other option on the market. In fact, wood pairs extremely well with almost any architectural or landscape design. The cons of wood, however, are well-known. With excessive moisture, wood will begin to warp and rot over time. Lastly, unfortunately, termites have a particular fondness for timber. They chew through the material, build their homes, and begin to spread. Over time, your fencing may collapse due to insect populations. No matter which fencing material you select, know you may contact Blooms Landcare for professional landscaping services. Give us a call today at (817) 688-5352.